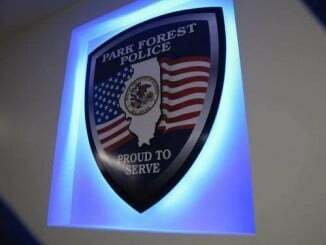 Police responded to a residential burglary February 24 in the 400 block of Winnebago St. Residents reported that a laptop computer, jewelry and clothing were taken from a home. Police are investigating. Bruce C. Bacon, 27, 12553 S. Alpine Dr., Alsip, was charged with improper lane usage and possession of cannabis following a traffic stop February 26 at the intersection of Indianwood Boulevard and Sauk Trail, police said. 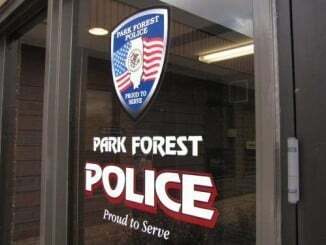 Lonnie S. Hardy, 34, 29 Denise Court, Matteson, was charged with battery March 4, following an incident at the Park Forest Police Station, 200 Lakewood Blvd. According to a report, Hardy was being detained pending charges in other incidents. As two officers walked by his cell, Hardy allegedly sprayed them with a liquid, possibly urine. Police said the incident was being turned over to the department’s detective division. Deightyn K. Tolbert, 22, 22946 East Dr., Richton Park, was charged with disobeying a stop sign, driving without insurance and possession of cannabis following a traffic stop March 5 in the 100 block of Westwood Drive, police said. Richard D. Sales, 52, 767 Grant St., Chicago Heights, was charged with felony driving while license is revoked and possession of cannabis following a traffic stop March 6 in the 0-100 block of Orchard Drive, police said. Police responded to a report of a van stopped in the middle of a street, at a traffic light, with two people apparently passed out inside. Ashley S. West, 23, 18843 Oakwood Ave., Country Club Hills, was charged with driving on a suspended license, driving without insurance, speeding and possession of cannabis, following a traffic stop March 6 at the intersection of Western Ave. and Apple Lane, police said. Kevin Nesbitt, 29, 9164 McDaniel Cir, Bell, Texas, was charged with driving under the influence of alcohol and failure to reduce speed to avoid an accident following a traffic accident March 7 at the intersection of Blackhawk Drive and Sauk Trail, police said. Police responded to a report of criminal damage to a vehicle March 7 in the 500 block of Homan Avenue. According to a report, witnesses heard a loud noise. When they went outside to see what happened, a car had its windshield shattered by a large landscaping brick. Roger L. Harrison, Jr., 39, 3135 W. Holden Cir., Matteson, was charged with possession of cannabis following an incident March 9 at Logan Park, 207 Grant St. According to a report, police found a man asleep in parked vehicle with the engine running. Police also noted that inside the vehicle was a “cigar” lying on the center console with a green, leafy substance surrounding it. The substance later tested positive for cannabis, police said. Police reported that a student’s cell phone and charger were stolen from a locker March 11 at Rich East High School, 300 Sauk Trail.